A very sweet whisky, which, despite being in a Bourbon cask for only 13 years, is wonderfully mature and brings forth an impressive fruity scent and vanilla-caramel aromas. The 55,6% alcohol are not unpleasant, it is present but does not become the focus. This cask is a refill of the Bourbon Barrel and of exceedingly high quality. 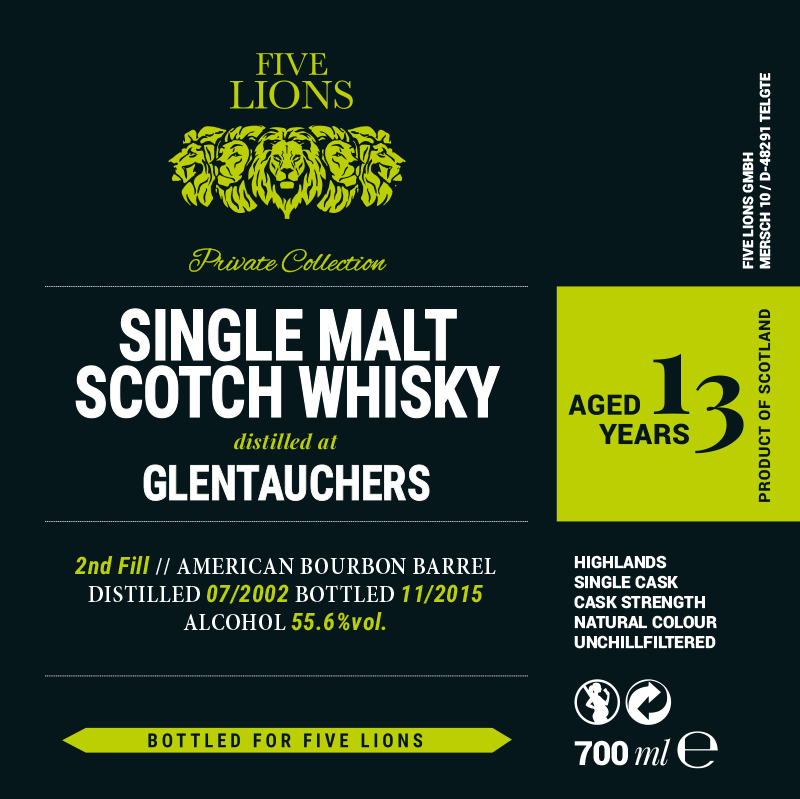 The small volume of the cask is distinctive in the taste – regarding taste this Glentauchers is favourably intense and impressive, balanced and round.